Discussion in 'Movies and Television' started by eagc7, Jun 21, 2014. Yeah, unlike DC Marvel seems to hate costumes. Take the Avengers, I could barely recognize Captain America now that he is basically "beared blond guy in black armor" without his trademark costume, shield, helmet... Does not help that there are 2 other bearded blond guys in the movie as well. The flashback scene where Davos and Danny fight using the classic Iron Fist mask/hat made me hope they would at least get those costumes by the end, but nope. This season was... OK I guess? It did not make me stop watching and delete the episodes, like with Jessica Jones 2, but I was not as much invested to binge-watch like Luke Cage. But I was really disappointed in the ending. Now Danny is not even the Iron Fist anymore? I mean I liked the characters same as in season 1 - Danny and Colleen make a far better couple than Luke and his ex-girlfriend or especially Matt and Elektra, and they are good people... But this should be about the titular character, and while throughout the series he has been changing and learning, then the show suddenly just pulls the rug out from under him and basically makes him a side character in his own show. This is the same problem I feel with many superhero shows - they are doing things too quickly. This is just his third appearance in these TV shows, it was too early to take his power and move on to the next Iron Fist. I felt the same way when the Flash introduced Wally West and Jay Garrick - it was too early for that. Typhoid Mary felt like they wrote her into the story after the script was done. She really isn't there for most of it, and her story is told too slowly. They did a variation of her origin by having her businesslike bounty hunter/soldier personality (Walker) be the original one and Mary being the separate one, but she was nowhere as crazy as in the comics. Plus, she had no powers either. And her third Bloody Mary personality was nowhere as deranged as in the comics, that one just wanted to kill Davos for the same reason Walker did... so not much difference. In NYC, they are referred to as Triads (ie he's a Triad or that store is run by Triads, etc) but I don't think anyone's going to correct/care you saying "the" Triad. Since you seem to read IF, who else in his rogue gallery could be used next season? Yeah triad is a blanket term for certain Chinese secret societies (criminal or other wise). That now only really exist outside mainland China (where similar groups are called black societies), the triad term originated in British Hong Kong (possibly) from the triangular symbols the groups would use. Davos did wear the mask in present day for like a minute. I thought he would dye it purple and wear it to hide his new power to the world he wants to revive. I'm no writer but that would of made sense to me. I've just lost all interest in the Netflix series, never finished Punisher and couldn't care less about the last 3. I'll watch DD, but that's largely due to it actually feeling like a comic book series and not "hey, we hear you Marvel, bro. Here's Marvel characters in a typical major network like series." Punisher and Jessica Jones season 1 were the only Netflix series I thought were legitimately good. The best any of the rest of them achieved was "acceptable" with sporadic good episodes or elements. So - season 1 Danny is charged with protecting k'un lun but does a runner and they all seemingly get killed. 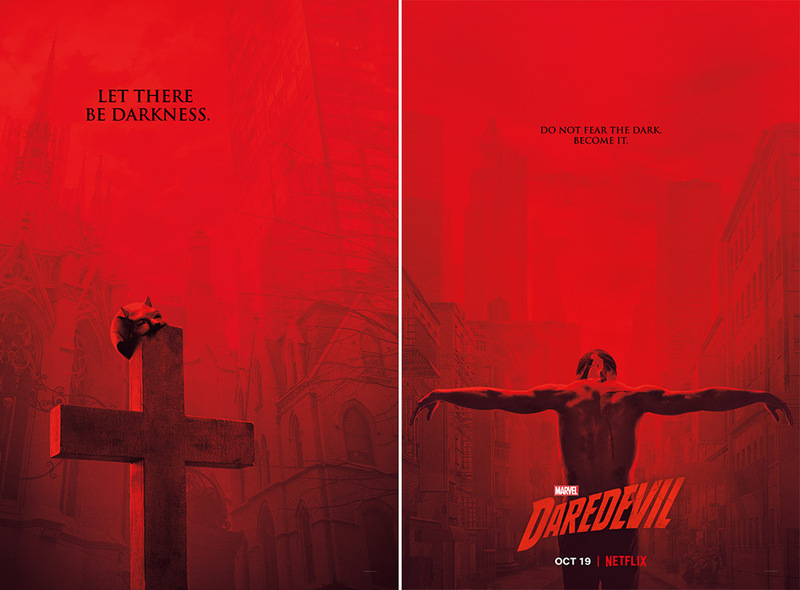 Season 2 Matt Murdock charges danny to protect the city and at his first opportunity he passes off his power to someone else and goes flying off overseas to find out where a corpse came from. So we are going back to the season 1 costume? Oct 19th? Jesus. Give us time to do other stuff Netflix. I still need to watch Votron S7. As for the costume, he better put on the real costume after the first episode. lol You really do only care about one thing. That's the biggest thing for me. I'm fine with pretty much everything else these series do outside of cutting down the episode count, which they seem to be doing. Wait, are you actually saying you have a problem with them cutting the episode count per season? That seems to be a universally praised move since they've gone from long dragging bits of nothing to sort of keeping things moving. Nobody needs thirteen hours of a story that could be told in eight. No, I meant I want them to cut the seasons down to like 8-10 episodes and it seems like they are doing that now. Ah, that makes more sense. Guess the wording just didn't hit me right. I thought Iron Fist S2 was fantastic. Aside from both seasons of LC and The Defenders, it was my favourite Marvel-Netflix season. I'm one of the people who liked season one, but this was still a marked improvement. The smaller episode count helped the pacing. All the character arcs were well done. Ward continues to be the best character in the show. His drama was well done and captivating. Davos was brilliant. My favourite Marvel-Netflix villain after Bushmaster, and the Danny/Davos dynamic is the best hero-villain dynamic in all these series and among the very best in the MCU. Daughters of the Dragon continue to be really fun. I liked how we saw the Chinatown community and the impact the events were having on it. Danny and Ward's talk in episode 5 was so well done and it was just so important to have two men opening up to each other about their fears and talking about their feelings on tv in 2018. Their relationship was excellently executed across the season. Mary/Walker was a great character who was portrayed very well. I think/hope Davos returns in S3. The way this season ended, they've set themselves up well to really explore the mythology of the Iron Fist and what it really is come a 3rd season. I do wish however that there'd been more Danny v Davos action in the finale.